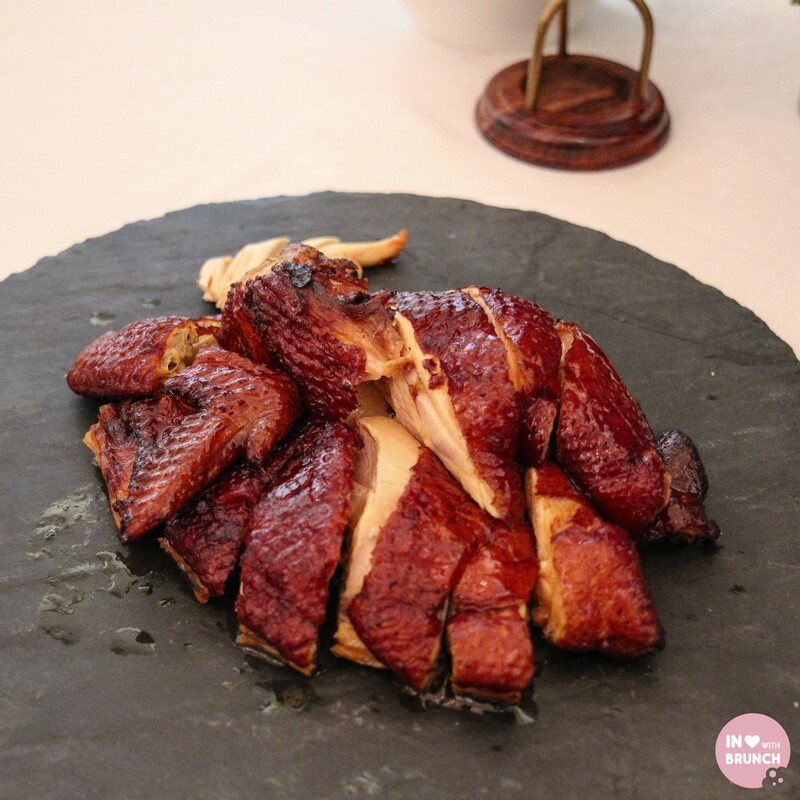 lai bun fu, in central hong kong opened in march 2015 and is run by former head chef of hong kong government house, chef chung kin leung who shares his love for traditional chinese food with the residents of the city he calls home. 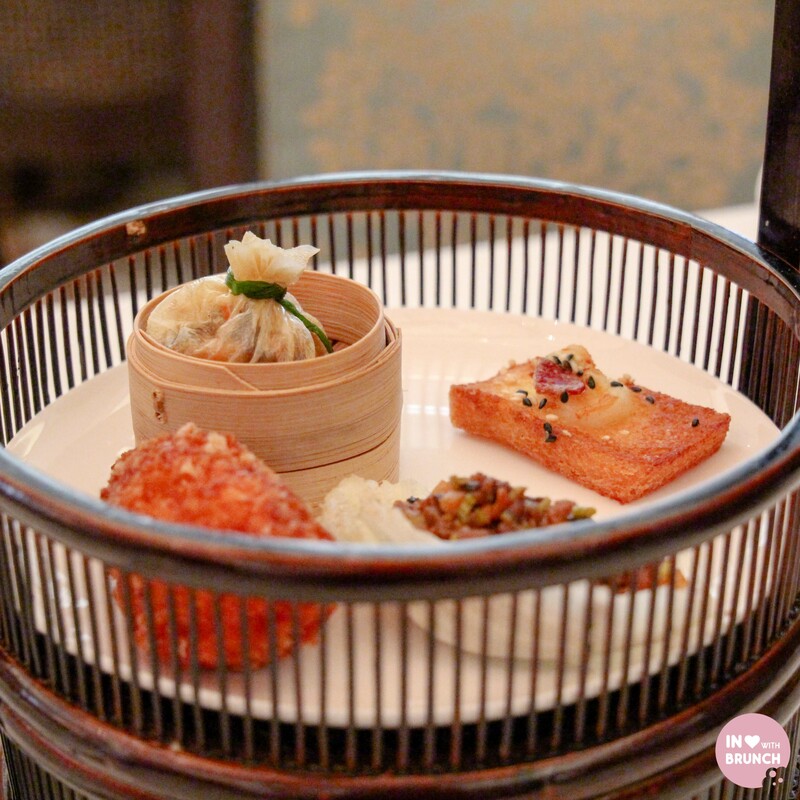 on our recent trip through hong kong, i was lucky enough to get a chance to sample the chinese fine-dining restaurant’s newly launched saturday brunch menu, which showcases its signature ‘government house’ cuisine. 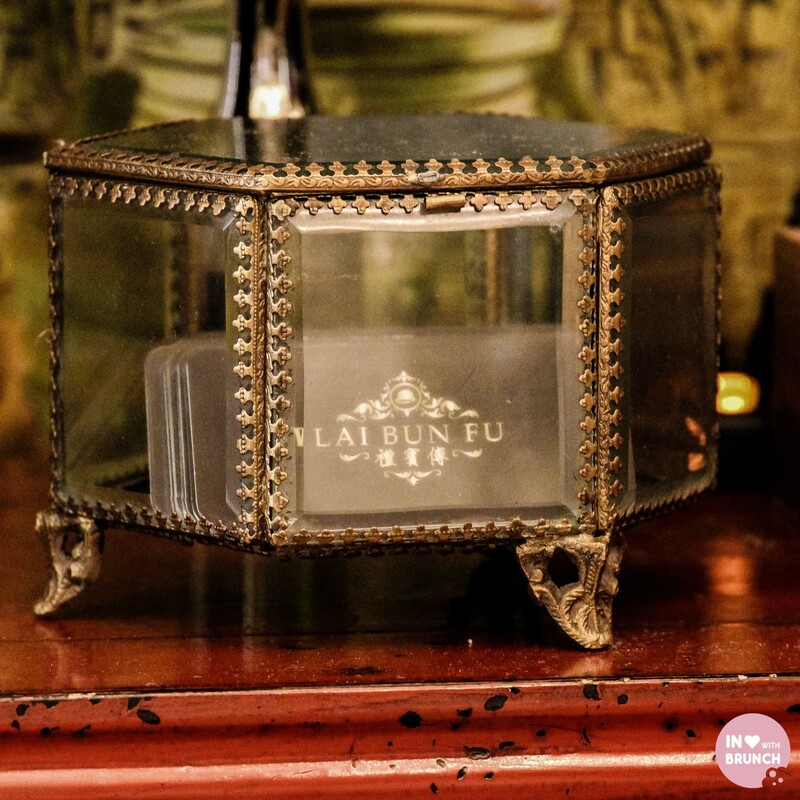 the first thing that really stands out is the beautiful décor – the interior design and meticulous detailing of lai bun fu recreates the old british colonial hong kong yet provides a new innovative zest of modernity. 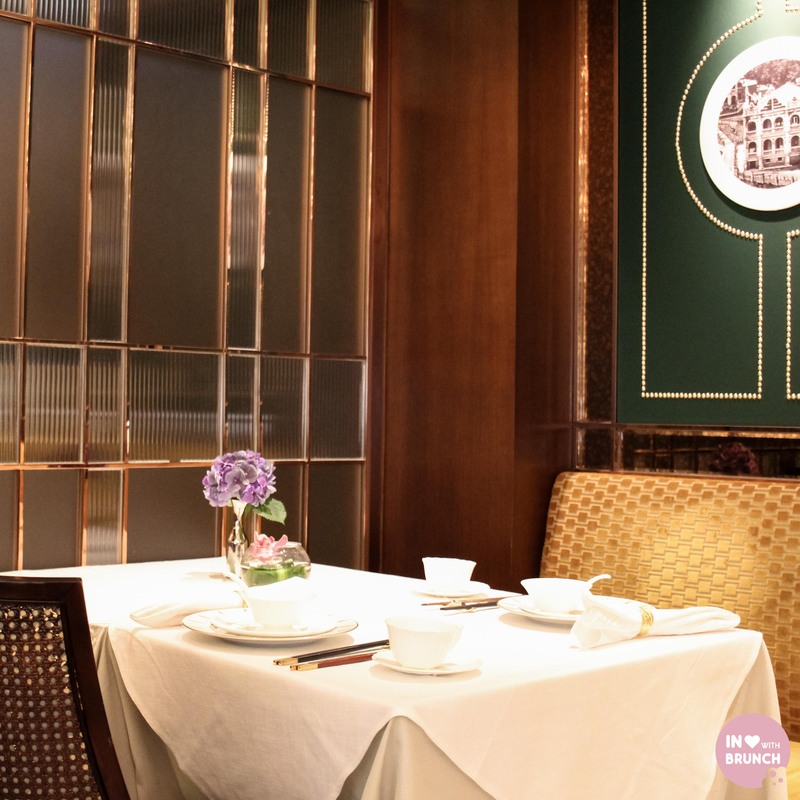 the small and intimate space is endowed with an east meets west ambience, a nostalgic aura and a modern twist which exemplifies the past, present and future of hong kong. the elegant dining experience is complemented with quality teas, wines and cocktails, while the décor transports guests back to the colonial days of yesteryear, with the sophisticated checkered marbled floors, forest green panelled walls and refined chinese antiques, as old favourite chinese songs are played in the background. 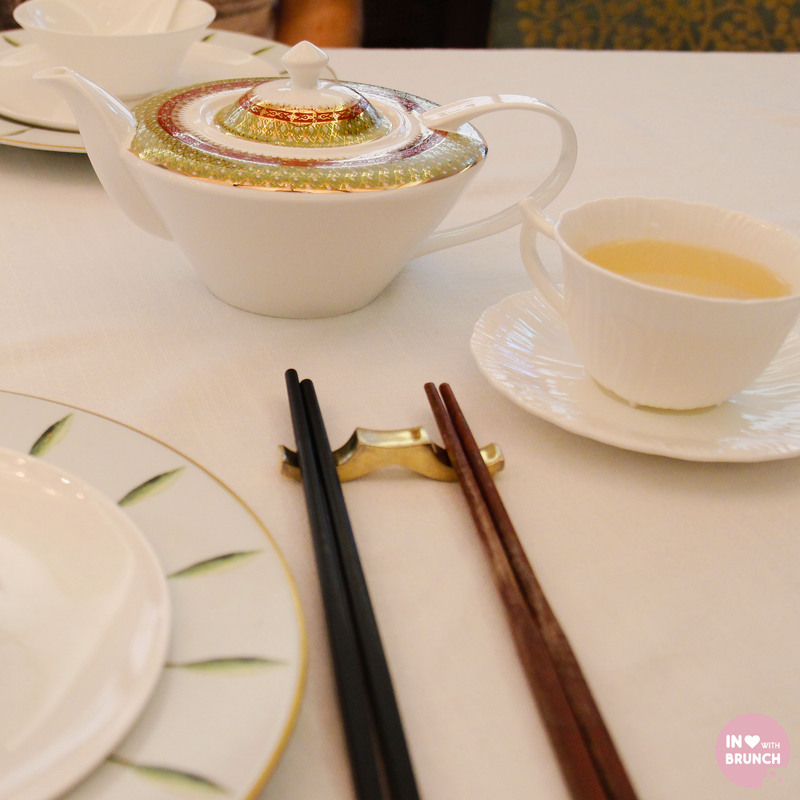 the 4-course brunch menu replicates specialties previously served to world leaders at government house including four gourmet appetisers, a main course, rice or noodles, and dessert. 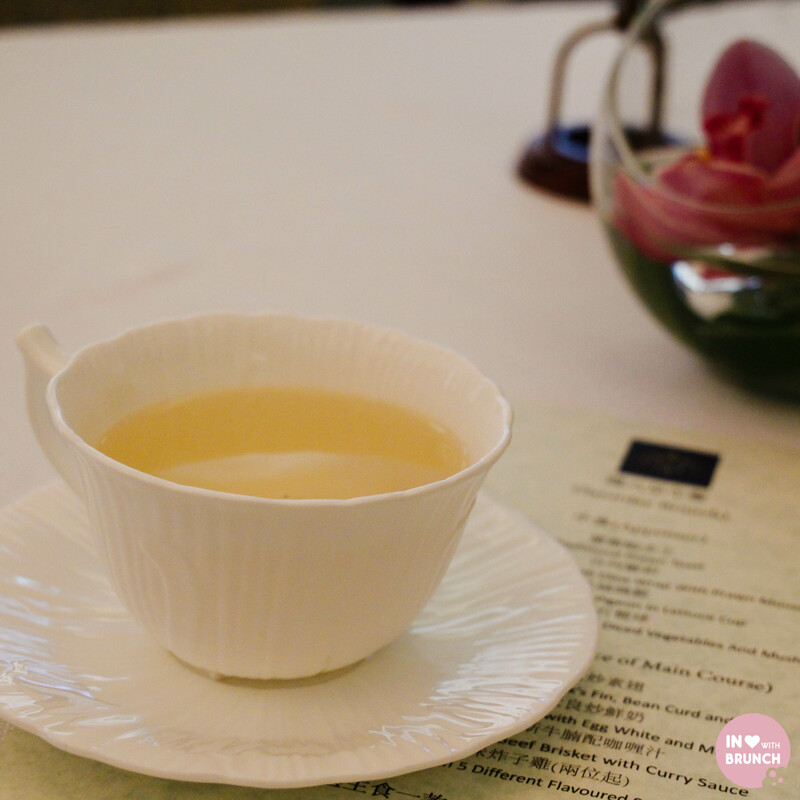 we started with an obligatory green tea… when in hk! 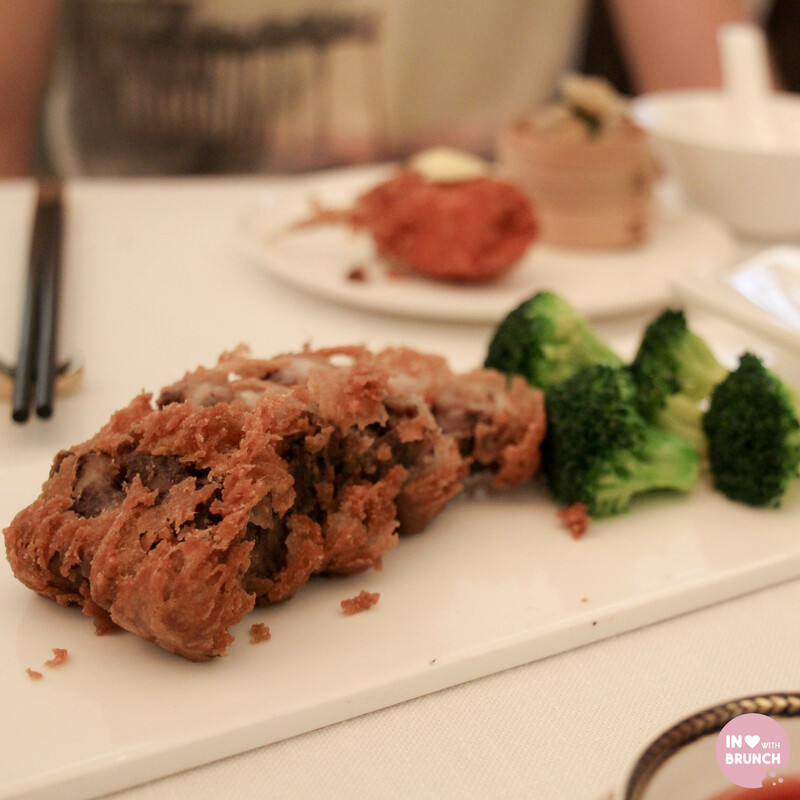 the four appetisers offered were sesame prawn cutlets on toast, deep-fried breaded crab claw, sautéed minced pigeon with lettuce cup, and steamed egg white dumpling with fungus and mushroom. 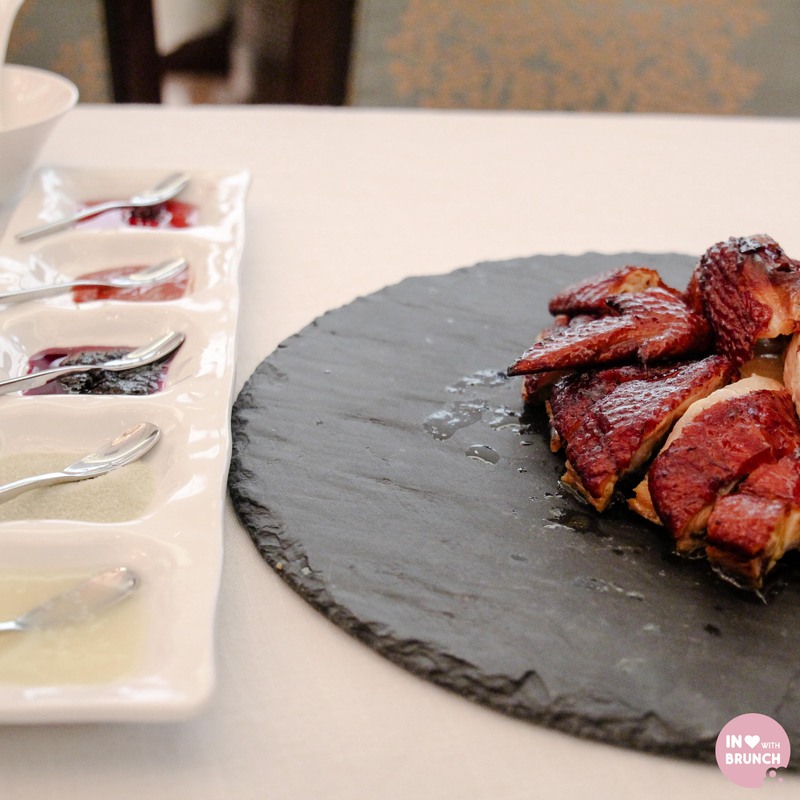 each appetiser was delicately and perfectly prepared with high-quality ingredients – a beautiful start to our meal. 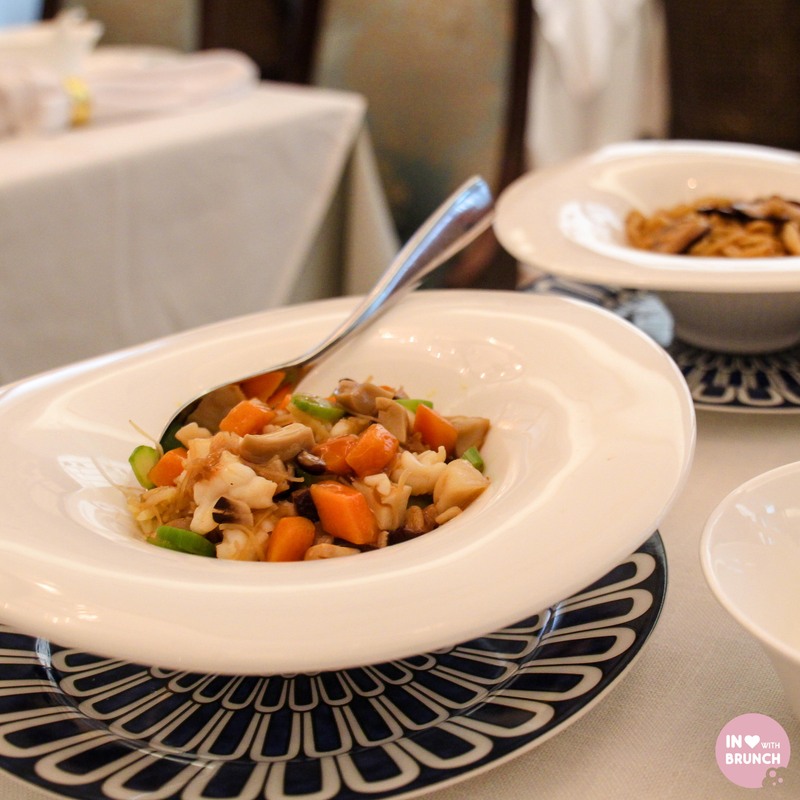 there are a number of main course options including stir-fried vegetarian shark fin with shredded abalone and scrambled egg, fresh crabmeat stir-fried with egg white and milk. however, we went with the more heartier options of deep-fried crispy angus beef brisket with curry sauce, and a half portion of sifu’s crispy chicken with 5 flavour condiments. the angus beef brisket was melt in your mouth tender – absolutely delicious. and the crispy chicken was not only generous in serving size but also in flavour. the combination of fresh lemon juice from the gorgeous condiments platter with the crispy-skinned chicken was sensational. 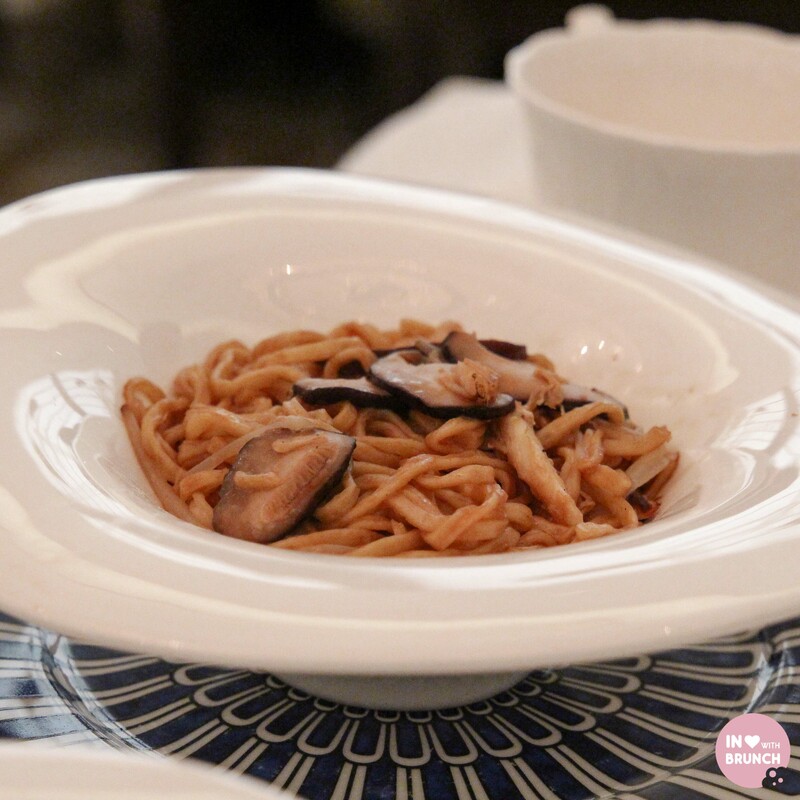 for third course we were served the rice-noodle specialties of hong kong–style fried rice and e-fu noodles with abalone sauce. 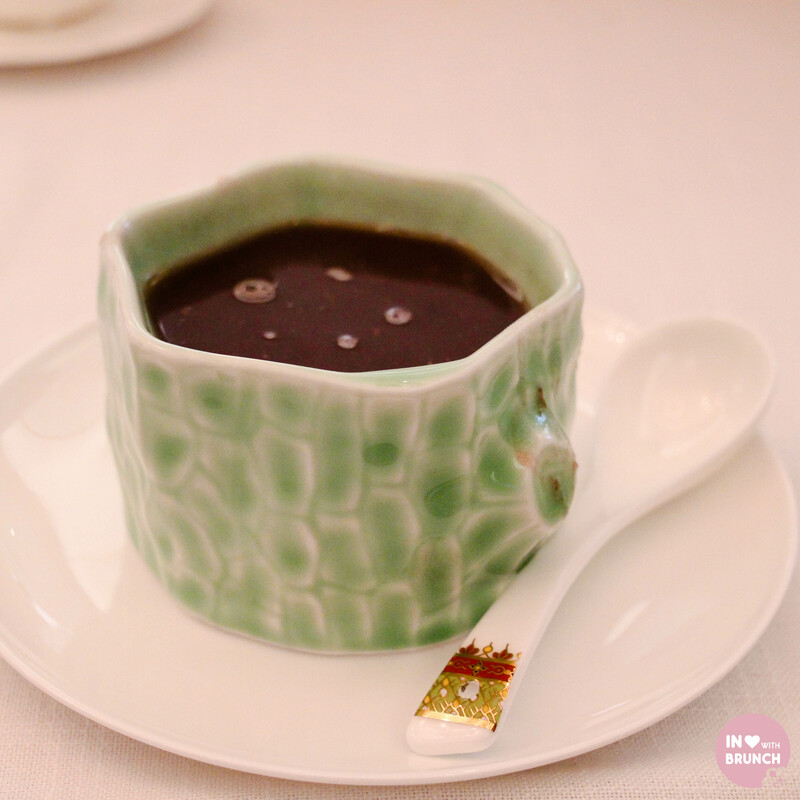 dessert was a red bean soup, however the brunch menu also includes options such as chef chung’s signature glutinous rice balls in hand-grinded walnut or almond broth. originally from guangzhou, chef chung became interested in food at an early age which further blossomed when he arrived in hong kong at a formative age. in 2001, he appointed head chef at the residence of the financial secretary of hong kong, followed by a tenure at the chief secretary residence, and most recently at the government house (2005 – january 2014). his tenure at the hong kong government house, saw him responsible for the overall running and operation of the chinese kitchen as well as the most formidable of diners, including numerous dignitaries, international business leaders, and heads of state. chef chung’s unique ability to execute traditionally simple dishes with exquisite flavours into a fine dining experience has earned him numerous accolades and high praise. chef chung has previously prepared dishes for world leaders, presidents and prime minister’s alike. lai bun fu opens monday to friday, from 12:00 to 15:00 and 18:30 to 23:00; saturday, from 11:30 to 15:00 and 18:30 to 23:00, and is located at 5/f, 18 on lan street, central, hong kong. 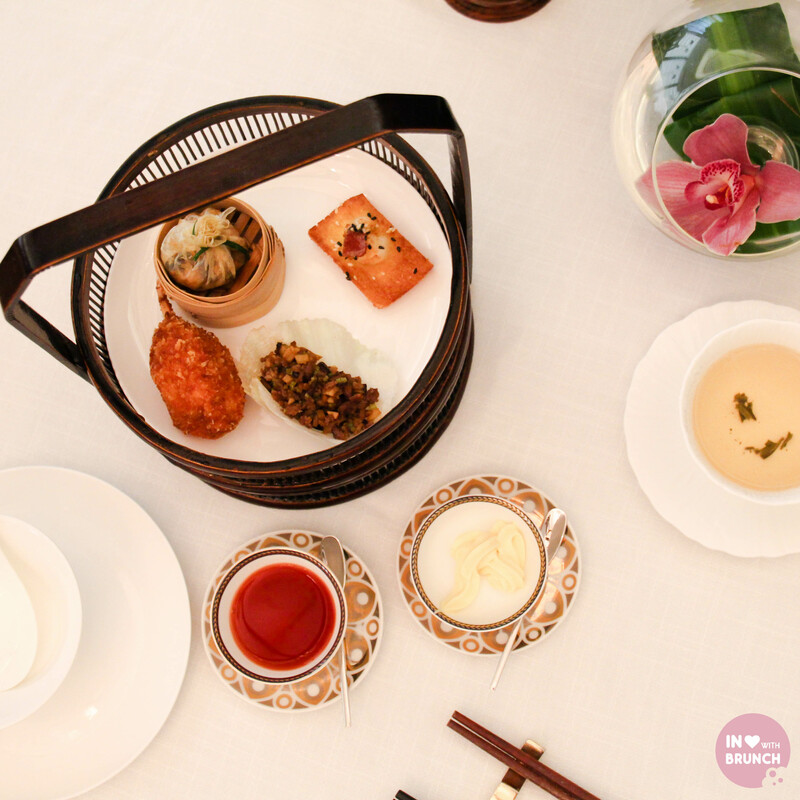 the saturday brunch menu is priced at hk$368. include free-flowing prosecco, italian bellavista nv cuvee brut for hk$518, or french delamotte or jacques picard brut champagne for hk$618. 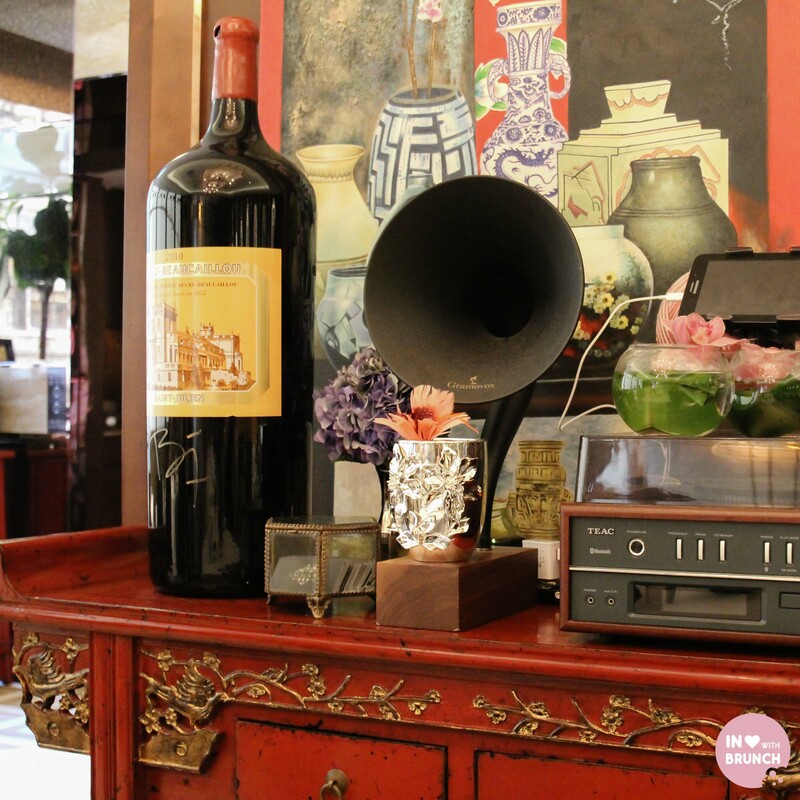 the brunch menu and unlimited juices and soft drinks is hk$398. visit http://www.laibunfu.com for more information. verdict: felt like i was dining with royalty!